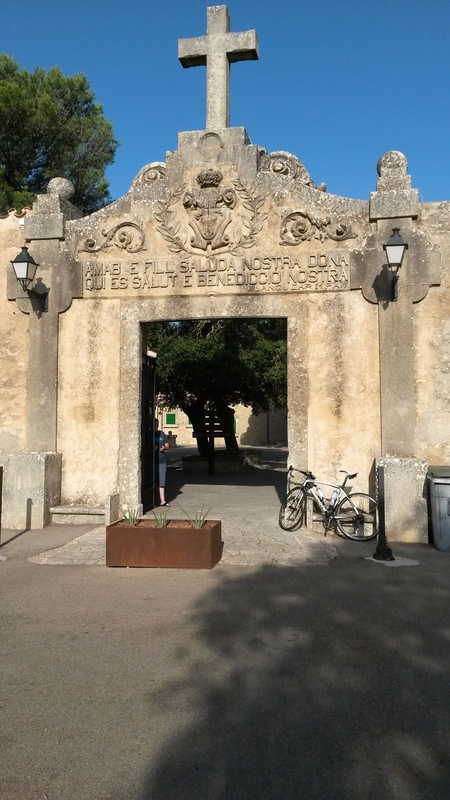 I’d been warned by a friend that I’d encounter mainly drunk Germans on Mallorca in August, but it really was the only time John and I had to do this little ‘product development’ trip and, in the end, the only drunk Germans we saw were at the airport curry-wurst restaurant on our way out. I guess we didn’t go to the right places. Waiting for us on the island were Andy (an old friend from Japan), Katarina (a new friend from Sweden) and Jeronimo (our new best friend in Mallorca, and owner of our villa for the trip). Here they are watching John fix his first of two punctures. 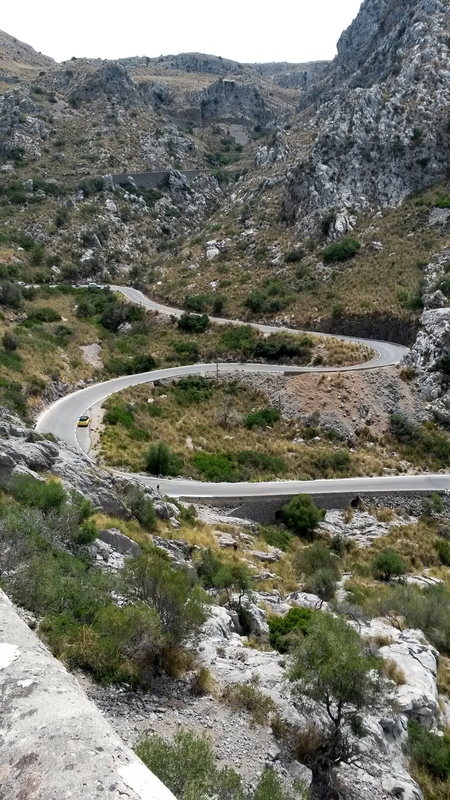 The 4 days we had in the middle of the Mediterranean were spent researching the roads, food and atmosphere of this velo-perfect island because everyone else has a Mallorca Training Camp tour, dammit! Seriously though, we now know why. We did 4 varied rides this long weekend that highlighted much of what this fabulous island can offer. I’ll start you off the with most outstanding, in case you don’t make it to the end. 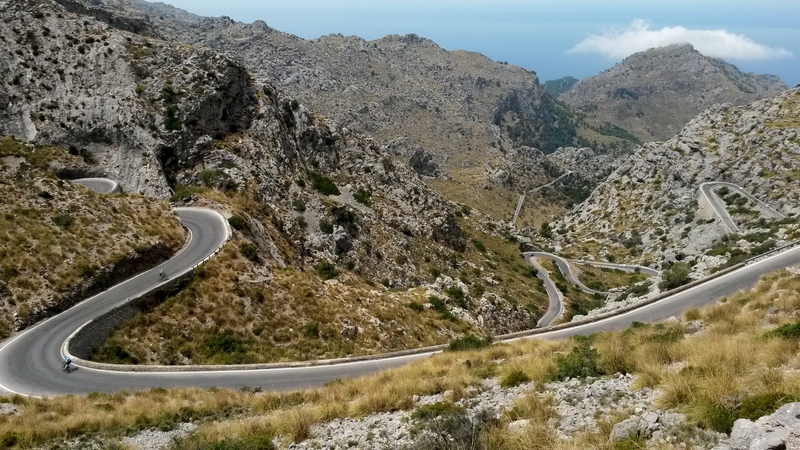 This is the Sa Calobra descent/climb (you have to go down to go back up). 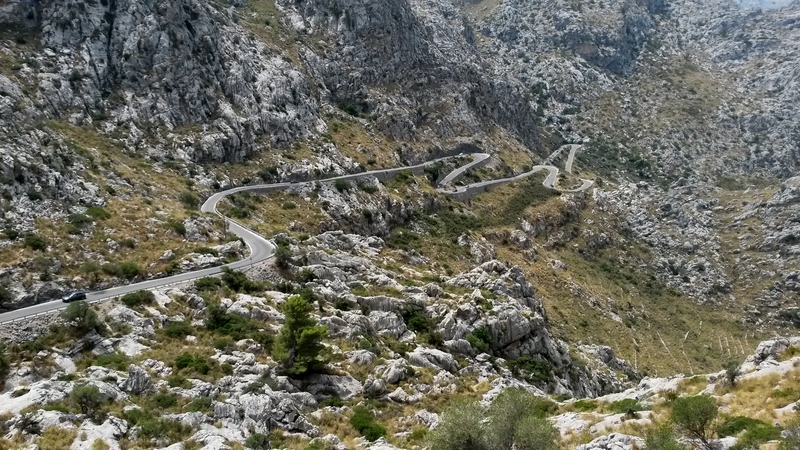 It’s probably the most picture-perfect cycling road you’ll ever see (if you like descending/climbing). Here’s the bottom – a tour-bus-filled cove with little €2 bottles of water. It’s a good place to turn around. 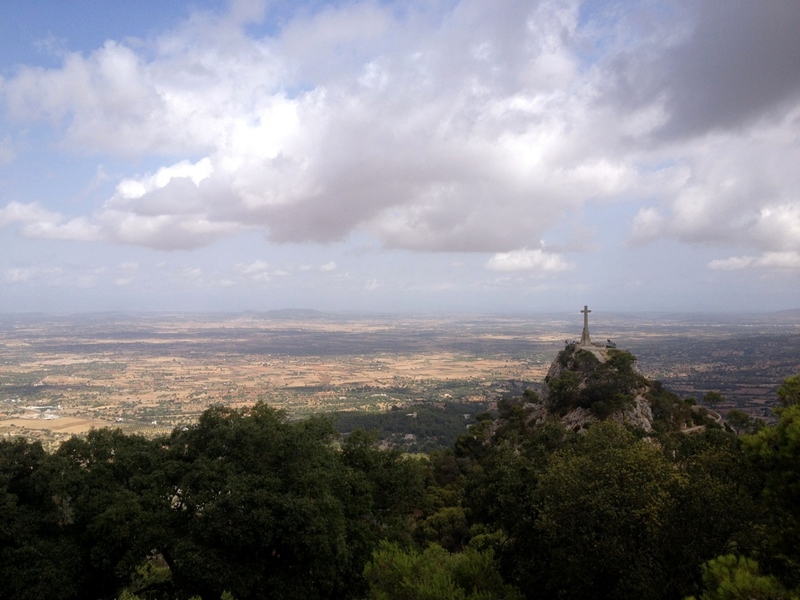 Our villa is located in the center of the island, far away from those thirsty Germans, but close to a few monasteries, it turns out. 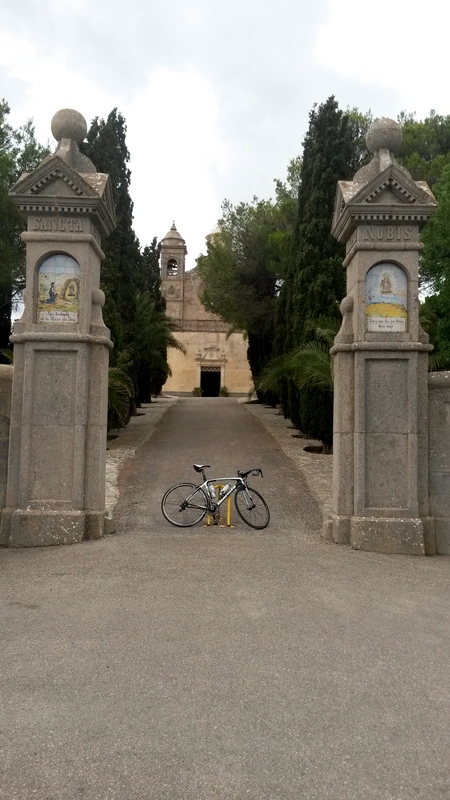 One of our rides was the ‘3 Monasteries Loop’, designed by our smiling host, Jeronimo. Here they are. 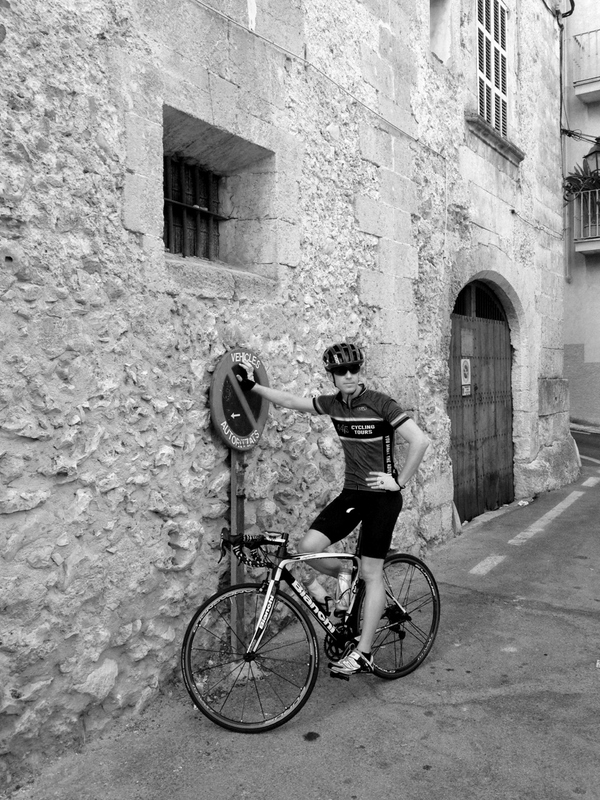 And a few pics of the intrepid ciclistas themselves. On the left is my old buddy Andy, who taught me a new word this weekend. It was pretty toasty the first couple of days on the island and Andy mentioned to me that he found, to his dismay, that his ‘gooch’ was hot to the touch (he wanted to try and fry an egg on it but there were no takers). I won’t divulge how hot mine was over our 4 days, but I’m used to the heat. Andy probably needs to take his gooch out of the UK more often to get it acclimatized. Turns out Katarina was camera shy because I only have a couple of shots of her. This is her shortly after we all took turns pouring our bidons over her head. This first day was a scorcher. Katarina and I will be doing some more suffering together soon, in Haute Route. Flaunting the law across the street from our villa. This little trip was a great success and John and I are going to get into furious tour-creating mode once the dust settles in September. 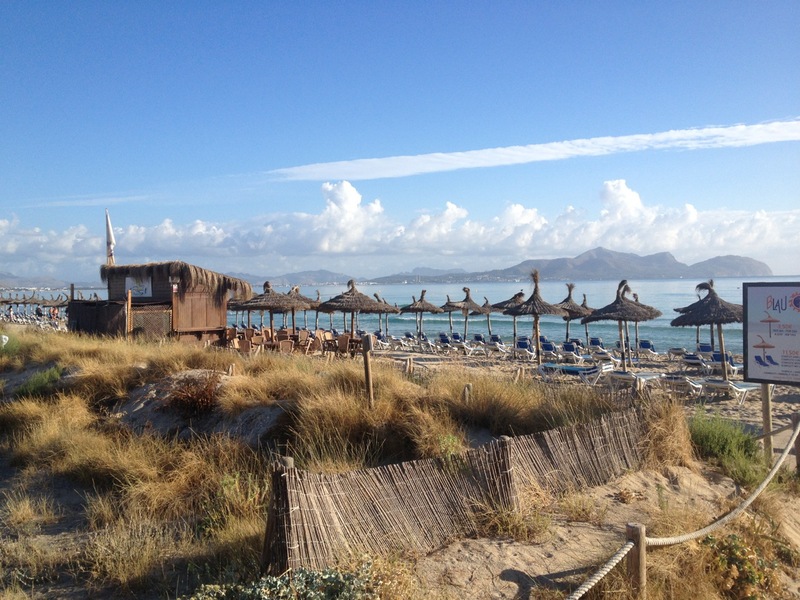 Look for a week-long ‘HighRoad’ tour coming to a beautiful Mediterranean island near you next spring! 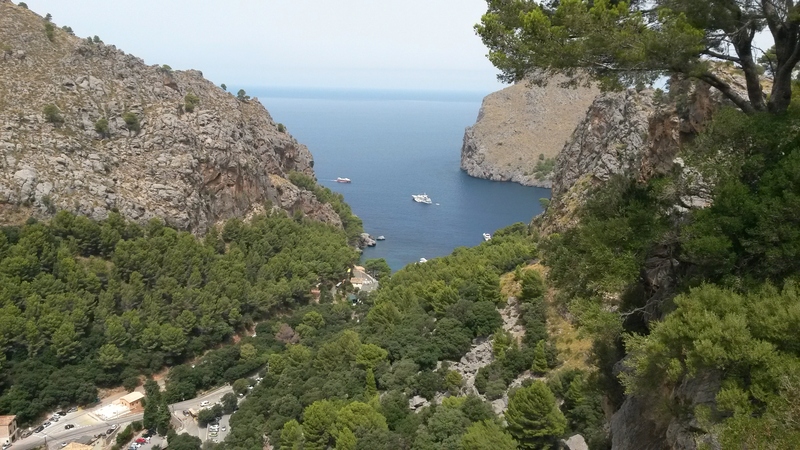 Sa Calobra – amazing, worth going round the corner through the tunnels at the bottom & into the cove too. Very hot when we were there in the spring too, numerous fresh squeezed orange drinks with ice! We’ll keep that little tidbit in mind, Fossil. Thanks! 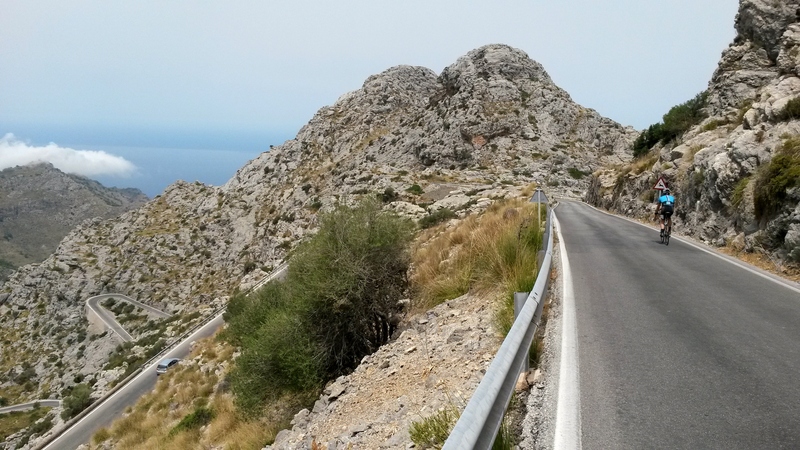 Great place for winter training…..but expect to be sharing the roads with tens of thousands of others in the popular spring months, and plan the café stops carefully. You will find, however, that the popular cafés can serve large hordes very quickly. We’ve heard this many times, so guessing there’s some truth to it. Thanks for the heads-up. I was there in 1951 but I didn’t cycle. No, it was lovely. Coming from rationing at home, just having the sun and fruit was a treat.